If the thought of buying gifts this year for your mail carrier, babysitters, your child’s school teachers, coaches, piano teachers, Sunday School teachers, and every other special person that is involved with your family’s daily life astounds you, join the frustrated millions. This year, more than any other years in the past, our family is celebrating Christmas on a very tight budget. Partly because of our family finances and partly because our children are involved in more and more activities as they get older, and they attend larger schools with more teachers. We simply have more people in our lives; people whom we want to give a gift. At the same time, unfortunately, we need to cut our gift budget to the bone. One of the most disturbing aspects this Christmas is the bind many of us have gotten ourselves into by setting unrealistic gift giving goals. We have set precedents by giving gifts that cost a certain amount during the years when we could afford to spend more. Now that our gift budgets have taken a drastic decline, how can we cut back without feeling bad about giving a smaller gift this year? The answer is simple. By giving a gift that is personal and homemade. Everyone has a talent of some sort. If you begin by looking at what you do that garners praise, you’ll find your talent. Do people rave about your cooking? Do you organize like a pro? Do you create a wonderful, spa-like atmosphere in your guest bathroom when people come to visit? Do your photographs always have a striking composition? Do you have a way with pets? Do you have a way with kids? If you start to think about what you do well, you will be able to turn that talent into a gift. Let’s see what we can come up with to build off of your talents. Frugal Talent #1. You’re A Great Cook! This is a great gift idea for most everyone who enjoys a hot cup of coffee. I especially like to keep this idea handy when thinking of a gift for a man. Begin by purchasing either some plastic spoons, the clear ones are a little heavier and nicer, or some old spoons at a thrift shop. The thrift shop spoons must be in good shape, but what’s fun is you can usually find some pretty unusual ones. Use any chocolate coating you want, whether it’s chocolate chips or the bars you find in the candy making aisle in your grocery store. Do not use Real Chocolate as it’s difficult to melt properly, is hard to keep shiny, and the results can get a powdery white appearance on the chocolate which is not pretty. Melt the chocolate according to the package direction. I normally cut up small pieces of the chocolate coating bar, but you can use chocolate chips, and place the pieces in a small, heavy pan. I then bring a larger pan of water to boil, shut it off, and lower smaller pan carefully into hot water, being careful not to overflow the water into my smaller pan full of chocolate. Then, using a rubber spatula, I carefully begin to stir the chocolate until all the pieces are melted. Now you will dip your spoons, yes, make several at the same time, and carefully lay them down on a cookie sheet preferably covered with parchment paper. When you are done dipping all your spoons, place your cookie sheet in a cold area to set up, even the freezer or refrigerator will work if you remove the spoons within a few minutes. 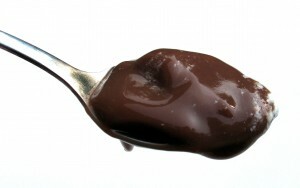 Another ingredient you may wish to try is a drop or two of peppermint oil for a mint chocolate spoon. Check your candy making aisle once more for different flavors to try. You may also wish to add candy sprinkles or broken peppermint pieces to the chocolate after your spoon is dipped and before it hardens. To wrap, you’ll want to use some clear food bags, available in the candy making area of a craft store, or you can wrap the spoon up with a sheet of cellophane. Then, tie the bag or wrapping closed at the handle of the spoon by looping some pretty ribbon around, embellishing with a little candy cane or anything that you think makes your package look special. If you want to give more than one spoon to someone special, you can find candy boxes just the right size again in the candy making aisle of your craft store. What’s the hardest part of decorating sugar cookies? Baking the cookies. That’s the time consuming and less entertaining part of this cookie making tradition. To solve that and help a fellow busy Mom or Dad out, give the gift of convenience and sweetness. First comes the hard part, but the part that is most appreciated. Get your oven going and bake up a batch of sugar cookie cut-outs. You probably have a recipe that you’ve been using for years, but you can also buy a batch of dough and just roll it out and do the cut outs. I like to use stars and trees for cut outs for this project because you don’t have to buy a lot of different colors of frosting. Now you’ve got yourself a batch of cookies all cut-out in cute little shapes. The gift idea comes next. A lot of families would like to frost sugar cookie cut-outs if they had the time. You are just about to give them the time and tools they need to have a cookie decorating day. Purchase a variety of pre-made frosting specifically made for using on sugar cookies; the kind that hardens. You’ll also want just a few decorative frosting pens and some candy sprinkles. Now you have the features of a ready-made sugar cookie cut-out project. If you have some extra cookie tins around the house from years gone by, those would make excellent wrappings for your cookie gift. However, any nice sturdy box will work. Line your tin or box with parchment paper or wax paper. Carefully arrange your cookies in the container. Seal the container and wrap with gift wrap if necessary. In a separate gift bag or smaller box, place your variety of frostings and decorations needed for that batch of cookies, and wrap it to match and tie or tape it to the box of cookies. When a busy family receives your gift of ready-to-go cookie decorating, I guarantee you’ll make somebody’s day a little brighter. Frugal Talent #2. What An Organizer! Is your desk littered with little loose notes that you must keep handy because they’re valuable pieces of information? Of course not! You’re organized! But, you know some people that could use your help. This organizer could be just what they need to clear off a corner of their desk and keep track of all those important scribbled notes. And because it’s portable, they can work anywhere they please and have their notes handy. You’ll need to purchase any sturdy free-standing picture frame. You can buy one that has a finished frame, or an unfinished frame if you’d like to personalize it. Don’t forget to check out the thrift shops for some really inexpensive and interesting frames. The size of the picture frame should be big enough to hold a few notes, but not so big as to take up too much room on a desk. You would probably want either a 5×7 or an 8×10 size frame. 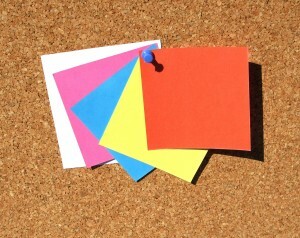 Check either a craft store or home improvement store and you’ll find sheets or squares of cork used for bulletin boards. Buy enough cork to cover the picture portion of your frame. Then simply cut the cork to fit the glass area of the frame, peel the backing off the cork, and stick the cork to the glass inside the frame. If there is no glass, or you don’t wish to use the glass, make sure the backing of the frame is sturdy and just stick the cork to the backing. Now you have a framed cork board that can be moved along with a person as they need, perhaps working on a laptop at the kitchen table instead of at the desk, so the little notes that contain all that valuable information doesn’t have to get left behind when they leave their desk to work elsewhere. Personalizing the frame is a great idea for a teacher. Your child can add a personal touch by painting something fun, the teacher’s name, and the year, to make a special gift for a special teacher. You may want to embellish the frame with items that make a statement for the recipient. Your child’s coach may like the frame painted in the team colors, or a piano teacher may like musical notes either painted or attached to the frame. Use your imagination and create a one-of-a-kind message center. Most families need a centrally located calendar. Big white-board type calendars are great for planning and organizing, but they are also expensive. A fun alternative is a homemade version of a perpetual calendar. This will take a little work, but the end result is very interesting, and kids will love the “hands-on” approach to this calendar. A calendar may not seem like a personal gift, but if you know the recipient fairly well, you can make this calendar very personal. You will need about 40 3×5 index cards without lines. You can purchase cards in various colors if you like or white is good, too. You’ll also need to either purchase stick-on numbers and letters or have someone who writes well on hand, along with some nice markers or Sharpies. What you’ll be doing is creating a card for each day of the month, along with cards for the days of the week, and the names of the months. Turn a card on its long side and write or letter one card for each month of the year, January through December. Then cut four cards in half (parallel with the short edge) so you have pieces that are 3 x 2 1/2. Laying these cards down the long way, making your day of the week cards 2 1/2 inches high and 3 inches wide, label the cards with the days of the week, Sunday through Saturday. Now for the days of the month. You’ll need cards labeled number 1 through number 31. Lay the cards down so the short side is at the top and bottom. In other words, your numbered card will be 5 inches high and 3 inches wide. Attach or write your numbers in the upper right or left hand corner of the card. This will give the person a little room on the card to write if they want. You may also wish to create separate cards to use on Holidays. That way, each time the month changes, the family can choose the special card that indicates a specific Holiday and insert it in the space it should occupy. If you know the gift recipient well, you may also want to create a special card for each family member’s own birthday. If you are able, you may want to have your cards laminated. You should be able to fit a number of the cards on one sheet, so the cost wouldn’t be as much as you might think. This would enable the gift recipient to write little notes on the days with a dry erase marker and rub it clean when the notation is no longer needed. Also, this calendar is very intriguing for the little ones so it will have a some wear and tear and it would help to make it sturdy. Youngsters love to play with refrigerator magnets, and arranging their own calendar every month can be very rewarding and educational as well. Now we come to the magnets. You can purchase rolls of magnets that can be cut, backing peeled, and attached to the back of each card. You can also purchase small magnets that are already cut. I prefer the rolls because they are thinner, but either way works fine. Do not use a thick magnet as the card will be raised from the refrigerator door and would not work as well for writing notes on the dates. I suggest that you cover enough of the back of each card to make the cards adhere well to the refrigerator door when it’s being opened and closed. Once you have all your cards ready, present the calendar in a small tin or box with a cover. Your gift will resemble a puzzle that way. It’s fun to see how long it takes to figure out how to put their “puzzle” together. A little gift card with an explanation would also be considerate! And once they sort out the pieces and get it arranged on their refrigerator, they’ll realize they’ve just received a one-of-a-kind, personal calendar. This will truly be a welcome gift that will keep giving every day of every year. Frugal Talent #3. Your Guests Are So Pampered! A gift of relaxation and pampering is just what you have in mind for your gift list of ladies. If there’s anything you know, you know women like a well-deserved, and rarely enjoyed, soaking bath. 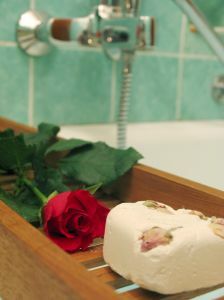 One of the elements of a good bath is the pretty presentation made of whatever the soaking ingredient happens to be. In this case, we’re using an age-old remedy for tired bones and muscles: good old Epsom Salts. As unglamorous as that may sound, Epsom Salts is actually the basic ingredients of many high-end bath salts. With good reason: it works. It is also tolerated well by people with sensitive skin. Epsom Salt soaks are often prescribed for people who are suffering skin ailments, as well as from injured muscles and joints. The trick to gifting an Epsom Salt soak is, again, the presentation. I suggest a trip to your local craft or party store. Look in the candy making section and the goody bag section. Purchase fun, clear and colored, cellophane bags of an appropriate size to fill. You don’t want too big a bag because you want to be able to make it look pretty, and a big bag is harder to embellish and it will look too impersonal. About 1 to 2 cups of Epsom Salts makes a nice size gift. Now look for ribbon, tulle, silk flowers, raffia, shells, or anything else you think would be pretty to tie around the bags for embellishment. Simple twist ties will be used to securely close your bag, but once it’s closed, you’ll be decorating it by tying on more ribbon and other decorations. You’ll also want to have a gift tag to attach with the ribbon or raffia. Consider choosing a combination of girlie pink and purple colors with glittery gift tags, and clear bags with raffia and natural elements like sea shells with natural gift tags. You get the idea… have fun with the packaging! Purchasing your Epsom Salts should be easy. You may not, however, find them in your local grocery store. You’ll have better luck at a drug store or a larger chain store. I’ve purchased 5 lb. bags at my local drug store, and it was unbelievably inexpensive. Consider also purchasing some special scented oils. You will find oils that are specifically for adding to homemade soaps in your craft store. If you wish, add a drop or two (read directions on bottle to estimate) to your Epsom Salts. Mix the oils in the salts before pouring the Epsom Salts into your gift bags to avoid any oil showing on the cellophane. Be sure not to go overboard with the oil. A very little goes a very long way. Another additive is dried herbs and flowers. Lavender is an all-time favorite with most people. You might want to use a sprig on the outside packaging as an embellishment, or wrap a little crushed lavender in a piece of tulle and tie it to the package. You may also just want to add a little crushed lavender to the Epsom Salts if you know your recipient likes lavender. You can also use dried mint, chamomile, or any number of herbs or flowers that appeal to you. Spend some time wandering through the craft store and you’ll be amazed what you will find. These bath luxuries are wonderful gift ideas for teachers, day care workers, bus drivers, or anyone on your list who can use a good muscle-relaxing, soul-soothing soak. For a male gift recipient, you want to give him something he’ll actually use and something that is masculine. In my experience, men don’t take a lot of baths, if any. Most men are shower people. But, you can always talk a man into a foot soak. So, the idea is to give a man the ingredients for a good foot soak in a package that is masculine. You want to avoid any frilly tulle, ribbon, and glitter, as well as any scents. Begin by purchasing some simple clear cellophane bags found in party stores or in the candy making section of a craft store. These bags should be large enough to hold about 2 or 3 cups of Epsom Salts. More than that and your package will look too industrial; any smaller and your bag will look too feminine. For the wrapping or presentation, look in the aisle of your craft store where you would find decoupage craft supplies and you’ll normally find some plain, sturdy cardboard boxes in that area that are perfect for a masculine look. You may also like to look for some small, plain brown gift bags with handles to present your gift. Also purchase some raffia and maybe some jute rope for another manly touch. If you want to add a simple embellishment along with the raffia tie, you may consider a little branch of balsam, or a pine cone, or other natural element. And don’t forget the simple gift tags to tie on the package. Epsom Salts are normally available in drug stores, but may also be found in larger chain grocery stores and sometimes home improvement stores. Purchase the largest bag you can find (I bought a 5 lb bag for a very little price) because you’re going to love it. Frugal Talent #4. I Wish I Had A Green Thumb Like You! Does every plant you touch thrive? Not everyone has that ability, but many people wish they could have some fresh basil once in awhile without running to the store. You could get some happy people started with their very own herb garden. You know it only takes a little tiny shelf or windowsill, and some instructions, to have fresh herbs at your fingertips. There are probably some folks on your gift list that would be able to supply a little windowsill and follow instructions. The trick is to make it simple and “giftable”. Begin with 2 or 3 little new clay pots and saucers. Buy the kind of saucers, if possible, that are sealed with a glossy finish on their insides to prevent your gift recipient from having water-stained windowsills or floors. 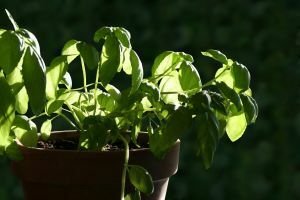 Depending on the availability in your area, purchase either seeds or plants for a couple well-liked herbs, like basil, thyme, oregano, and mint. But, you’re a gardener, so you will know what to do! Be sure that the herbs you choose all require about the same care, since they most likely will be kept in the same area with the same sunlight. Set up your pots with drainage and good soil, plant your seeds or plants, water, and set aside. When it comes time to give the gifts, you’ll need some ideas for presentation. Of course, the clay pots are pretty enough all by themselves. But a sturdy, narrow box would help transport your gift. This is where your thrift store may come in handy. Wander through the aisles and you will most likely come upon some old wood-slat music CD holders, some old baskets, or some old casseroles and loaf pans. Whatever you can find will be fun. You can either paint or wrap whatever you find to accent the clay pots. Before you shop, be sure to measure the dimensions of the clay pots when they are together so you know what size container you’ll be able to use. Most crucial in giving plants as gifts is giving the instructions with them! If you want your gift recipient to enjoy the fruits of your labor, be sure to include complete watering and sunshine requirements for your herbs. They’ll thank you for your thoroughness and may even treat you to a dish made with their very own fresh herbs that you provided. Even if your gift recipient isn’t a tried and true gardener, that doesn’t mean they don’t like pretty flowers around. Having a pot of flowers to set out on your front step is a welcome touch come Spring. Having everything together for gardening can sometimes give a person who usually resists gardening, an opportunity to give it a try. A welcome gift in the dark of winter is the hope for an early spring. There are many ways to give a person a little bright and flowery boost. Putting together all the elements of a flowering display is certainly a beautiful way to bring a little sunshine into a day. I start with a beautiful container. You can use a clay pot and paint it bright colors, or find a pretty pot or basket and insert a clay pot inside. Be sure you line the basket if you are using a pot inside so the water doesn’t destroy the basket. Now, set up your presentation so it’s ready to plant. You need enough good soil to fill the pot, if the bags of potting soil are too big for your pot, put just what you need in a zip lock plastic bag. You don’t just want to put the soil in the pot, you want to include the soil, but in a separate bag. Set the bag of soil inside the pot. Your flowers may need fertilizing also, so include enough fertilizer in a small container like a zip lock bag for the life of the plant. Now pick out your flower seeds or bulbs. You’re a gardener so you know what will look good and get along well with each other. Choose a variety of flower seeds or bulbs that will make an interesting arrangement and that will need the same care and sunlight. Place the seed packets or bulbs in the pot, displayed along with the bag of soil. Choose a gardening accessory that you think would be fun. A pair of gloves, a small watering can, a cute little accent for the flower pot like a lady bug, bumble bee, or anything else you think would be nice. This is where you can really personalize your gift if you know the person well. Create a package for the flower pot by either wrapping a large piece of gift wrap paper or cellophane around and tying it shut with some ribbon, or you may want to put it in a sturdy box as your gift will be put aside for a little while until growing season begins and will be safer in a box. Most importantly, write the planting, watering, sunlight, and fertilizing instructions on a nice card and attach to the gift. Don’t forget to include WHEN the pot can be planted, as it will depend on the area and the type of flowers. When it comes time to plant, this gift will make a simple and satisfying gardening experience for a lucky someone who thought they couldn’t garden. You’ll have done all the research and the work putting together all the elements needed for a little flower garden. Now your gift recipient can sit back and smell the flowers! Frugal Talent #5. Your Pictures Always Turn Out! If you’ve been to a school program lately, or a soccer game, or football game, or piano recital, you probably have some great pictures, because that’s what you like to do and you do it so well! Why not share the pictures with someone else? Oftentimes, the teachers and coaches don’t get a chance to take any pictures of their events because, well, they’re busy teaching and coaching. You probably have some shots that they would truly cherish. How about this year you gift your child’s teachers and coaches with some of their events on film. It’s a simple gift, true, but one that is most appreciated. Begin by going through your events on film and making a list of the teachers and coaches involved. With the list of teachers and coaches in front of you, go through the pictures again and choose several shots that either include the teacher or coach, or pictures that just exemplify the program or event. Do your magic now. Make an arrangement, or collage, or choose individual shots to frame. Arrange your collage on picture matting board, and place in an inexpensive frame. Shop around for frames that will accent individual pictures or embellish inexpensive unfinished frames to highlight the event you are framing. You’re an artist, so you will know what to do for presentation. When it comes time to give your child’s teacher or coach their gift, you can be certain that a gift this personal and thoughtful will be greatly appreciated by these wonderful people who work so hard and often miss out on the opportunity to capture it all on film. You may have just wrestled a tear out of that hard driven professional that dedicates their life to your child’s accomplishments! If you have people on your gift list who just can’t seem to get around to taking pictures of their family, you may have found a little niche. Arranging for a semi-professional photo shoot could be just what they need this year! If you have a good camera, some good ideas, and some people that really need to get a portrait or two done, this is your perfect gift. Oftentimes, a newborn baby, a new puppy, a new home, or any of a number of occasions, gets missed in pictures because of the sheer nature of the event. Who’s got time to get pictures when you’re taking care of a new baby, or puppy, or moving into your home, or remodeling, or whatever the occasion is. How about covering a sporting event or recital for a family so the parents can actually watch the game or program instead of taking pictures of it. The ideas for making yourself available are endless. This is a pretty simple gift. 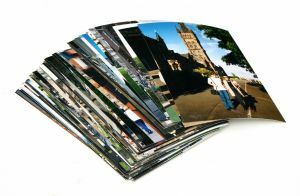 You’ll need a “portfolio” which is just a small album with a few samples of your best shots, a simple gift card, and some free time. If you use a digital camera, all the better. You’ll be able to set up a preview on your computer or laptop before printing any of your “gifts”. Present your gift recipient with your little portfolio (be sure to make several copies of your portfolio if you plan to gift more than one person). Attach a gift card which includes your phone number and the times you are most likely available for a photo shoot. Include information about where you would like to shoot the pictures. This will depend on the situation, of course. Encourage them to get back with you right away with a good day for them. If they can talk about the appointment time right away when you give them your gift, all the better. If you don’t hear from them in a day or two, give them a call. It’s assumed here that you know the person you are gifting well enough to know if they would be in the need for a photo shoot. For instance, you know if your day care provider just had a baby because you see her everyday and you have a close relationship. You know if your child’s teacher just moved into a new house because you discussed it with her at some length at the last parent-teacher conference. These are the people you are close enough to give a gift like this. Review your gift list and I’ll be somebody on it is missing out on picture opportunities. Your talents are the guidelines you should use when considering what gifts to give this year. Forget department store or coffee shop gift cards. The amount of money on the card or the amount of money spent on an item becomes the issue instead of the thought put into choosing and making the perfect gift. When cutting back on your gift budget, you need to stay away from gifts that carry a certain price tag. The gifts you bought for people in the previous years will no doubt be more expensive, and there will be a comparison if you continue to buy the same gifts but set your spending lower. That is why when you use your talents and provide people with the results of those talents, you are not spending less on gifts this year… you are sharing your resources and love of your craft with people you care about.